If you're ever at a loss for how to glam up an outfit, jewelry is something that can be used to complete an entire outfit. Whether it's a single necklace with a couple of bracelets or wearing layers of necklaces, it will take an outfit to the next level. With Instagram being my source of fashion inspiration, it doesn't come as a huge shock that I see ads for layered necklaces as some of the sponsored posts on my feed. I tend to prefer silver jewelry rather than gold, so I always have my silver heart necklace on and my silver stud in my second hole. Finding layering jewelry is sometimes a little tricky because you don't know the actual size of the necklace until you buy it and try it on. Depending on the type of top your wearing (i.e. a halter top, v-neck, off the shoulder, etc. ), you can get creative and layer in a lot of different ways. 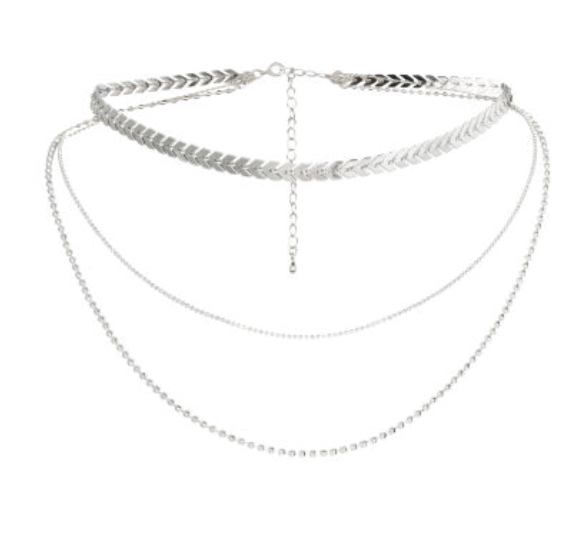 You can do a choker, then medium necklace, then longer necklace. Or you could do a smaller, medium, longer necklace. They are really not hard to find either, and they don't necessarily have to be expensive. H&M has great layering pieces that look like they are much higher quality than they are. They have some that come together, and some that are separate. The separate ones look good, but I would rather go with the ones that come together because you know they will each be different sizes. Sometimes when buying separate necklaces, it can be hard to tell if they are more of a choker style or longer because the extra chain is usually taped to the back and you won't be able to try it on until after you purchase it. 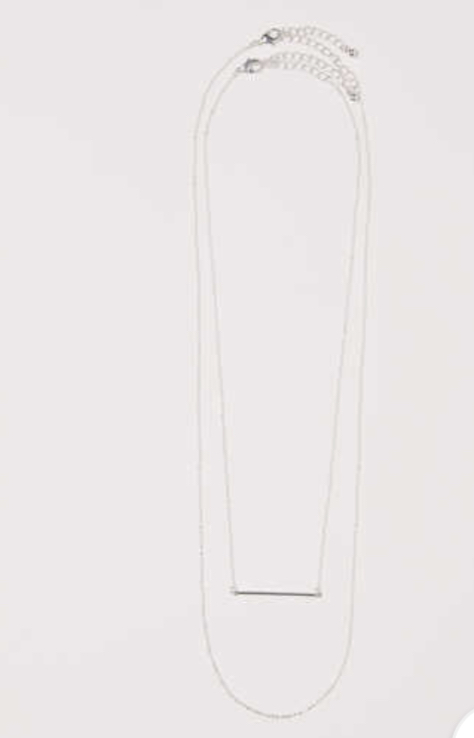 Urban Outfitters also has super cute layering necklaces! 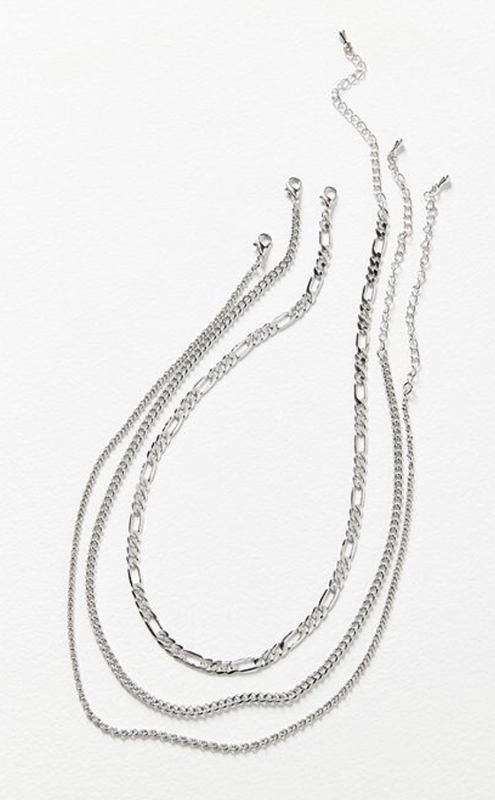 Urban Outfitters layered necklaces are great for having some simple looks. They usually come with a chain styled necklace or some with colorful beads. Shein also has some great layering pieces too! I just recently bought jewelry from there for the first time and I love it! It's like H&M or Forever 21 type quality and it's super affordable. 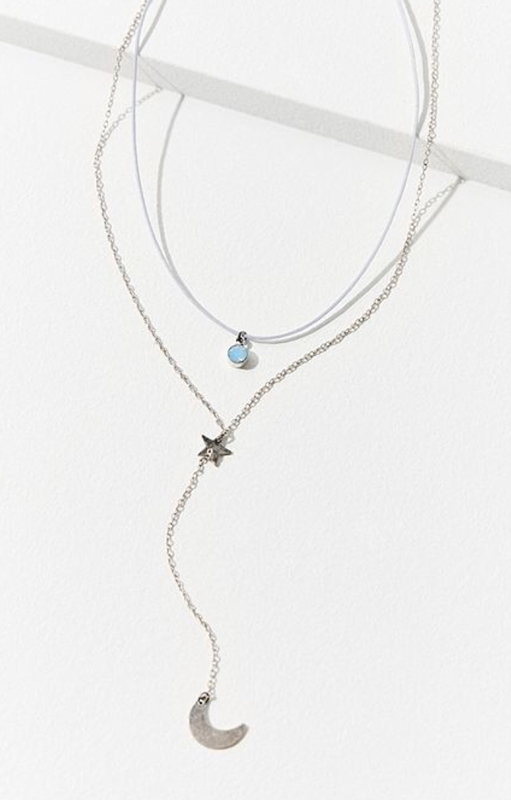 They have tons of trendy layering necklaces, like the moon shaped necklace or the star shaped one (These are terrible descriptions, but I will provide pictures don't worry!!). They also have the coolest chokers ever, and chokers are great layering pieces too, so check them out as well!